294 Angle Frame 2 Position Tilt Mirror - Manning Materials, Inc. The B-294 is a stainless steel framed tilt mirror. 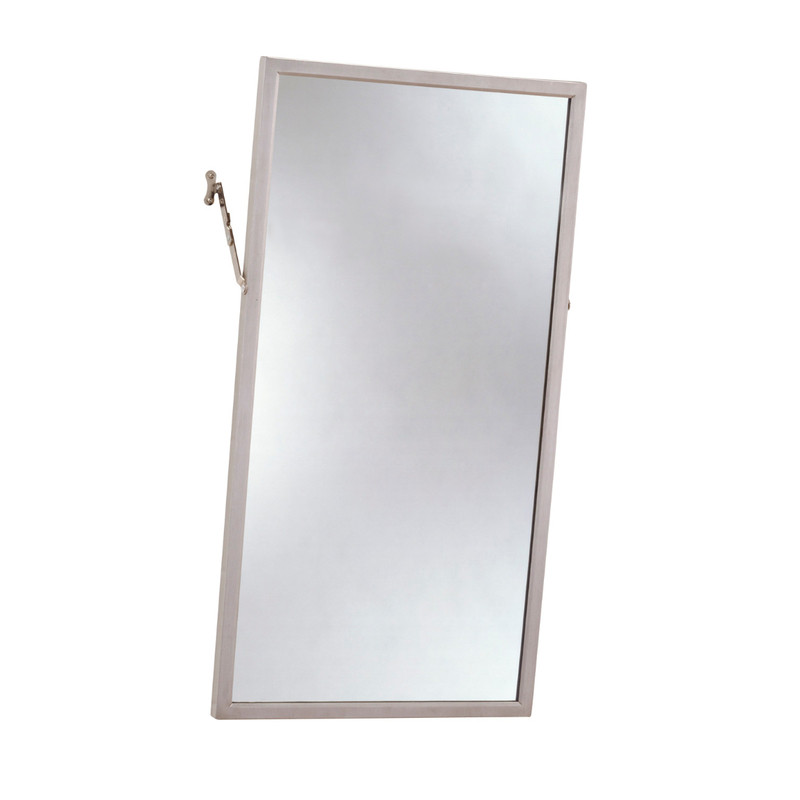 The frame of this mirror is composed of a satin finish stainless steel. There is a beveled design on the front of the frame which tightly holds the mirror in place. The corners are welded and polished smooth. The mirror of this model is 1/4” and is guaranteed against silver spoilage for 15 years. This mirror measures 16” X 30”.